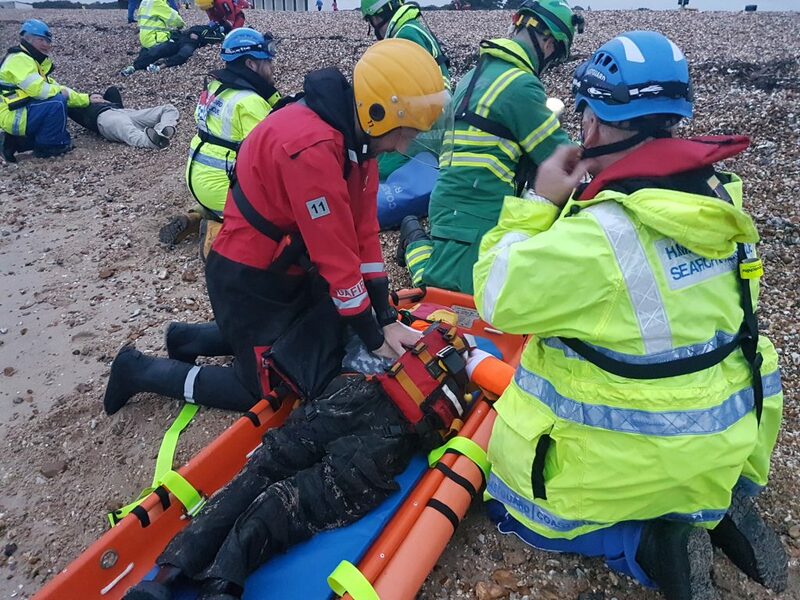 An exercise which saw six people pretend to be severely hurt following a boating accident at Stokes Bay put rescuers through their paces on Tuesday evening (Sept 12). 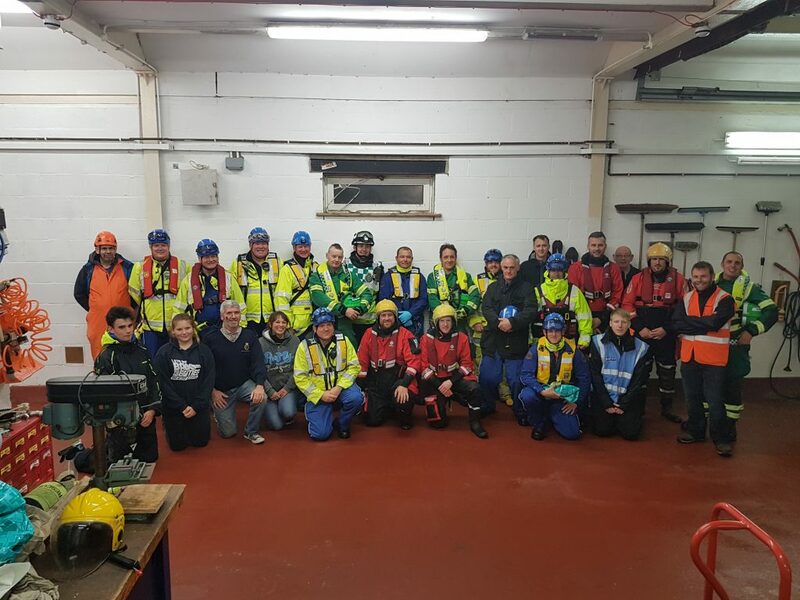 The major incident saw Gosport & Fareham Inshore Rescue Service (GAFIRS), Coastguard rescue teams from Hill Head and Hayling Island, South Central Ambulance Service’s Hazardous Area Response Team and the Coastguard Rescue Helicopter 175 work together to deal with the emergency. Designed to promote joint agency cooperation when dealing with a major incident, the exercise saw volunteer casualties don gruesome make-up. One had a severe chest injury, another needed CPR, while another was unconscious. GAFIRS training officer Phil Butler said: ‘We were asked to assist with this Coastguard led operation and provided casualties and lifeboat crew to assist with the exercise. 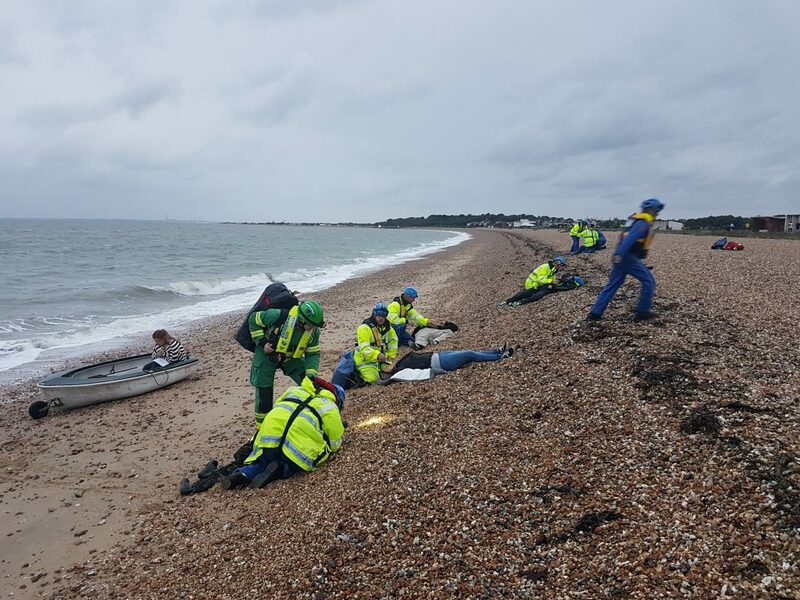 Coastguard rescue officers first assessed the situation on the beach and administered first aid, before calling in help from GAFIRS and the ambulance service. The Coastguard Rescue Helicopter landed on the field at Stokes Bay and the teams practiced loading casualties into the aircraft. 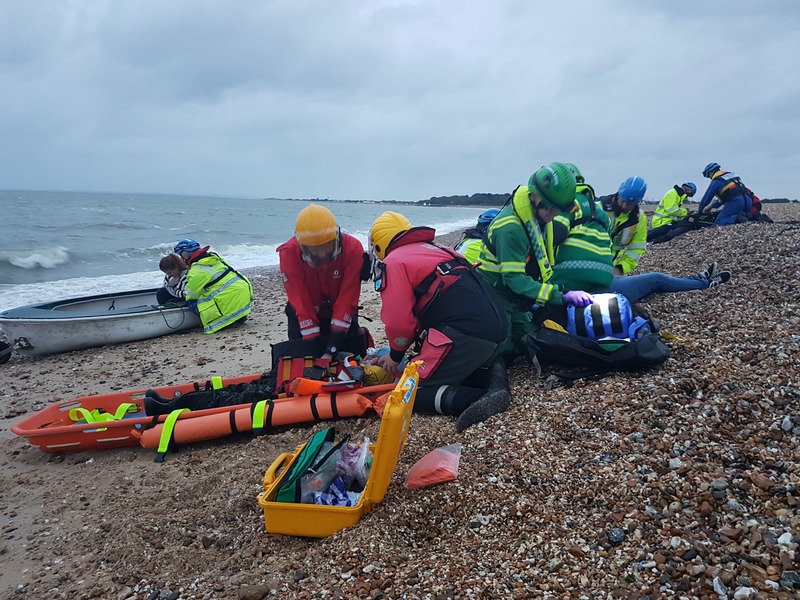 Mr Butler added: ‘We work with all of these teams regularly as we carry out our lifesaving work on The Solent, so practicing in this sort of live exercise environment is crucial so we can ensure when it happens for real we all know what to do. GAFIRS is an independent lifeboat service based at Stokes Bay, Gosport. It is on call to the Coastguard 24 hours, seven days a week and staffed entirely by volunteers.